Half Pound Burger (or HPB for short) sounded promising so we dropped by one Saturday afternoon to partake in their reasonably priced set lunch. 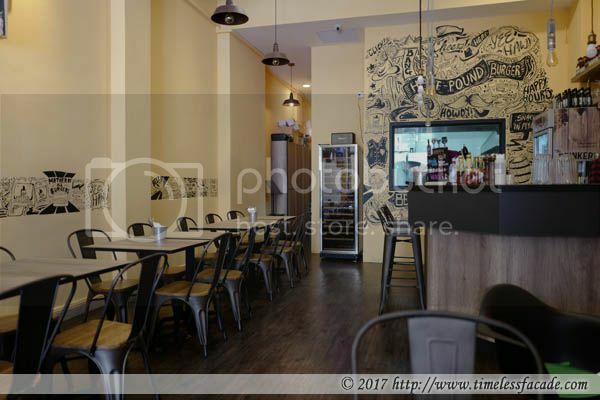 Located close to the start of Purvis Street, HPB occupies a simply furnished but comfortable unit just metres away from Saveur. It was either the Roasted Tomato Soup or the Potato Leek Soup for the set lunch so we went with the former. 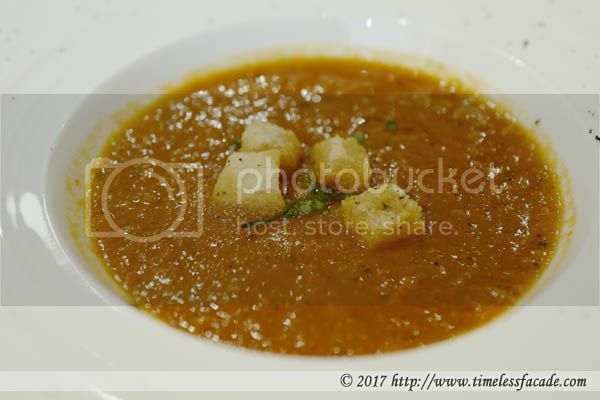 The tomato soup came across as rich but a little too zesty for my liking whilst the croutons were overly soggy, probably from sitting in the soup for an extended period of time. 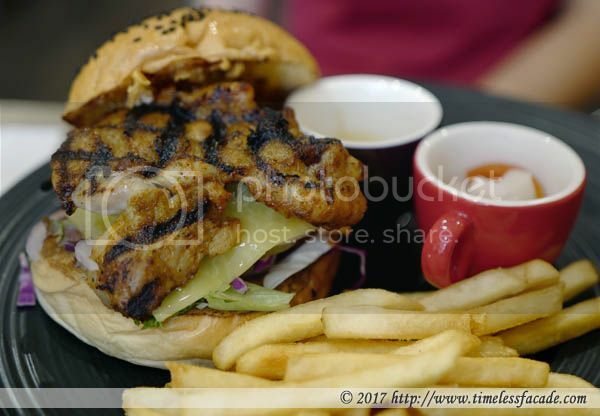 The grilled chicken patty tasted rather similar to a huge piece of chicken satay but came across as a tad dry. Decent flavour though but maybe having a bit of sauce would make it better? Side of fries was okay though the dipping sauce was rather interesting; a mildly sweet and creamy butter base that actually went well with the fries. As far as burgers go, this isn't anywhere near the best I've had but definitely not near the worst either. The patty was juicy though it was rather compact and strangely tough with a mild brovine flavour. Layered with Monterey Jack cheese, a strip of decent candied bacon (not as good as the one from Peter Luger or Clinton Street Baking or Bird Bird) and capped with a crisp, buttery bun (a wee bit more time on the grill would have been better in my humble opinion). 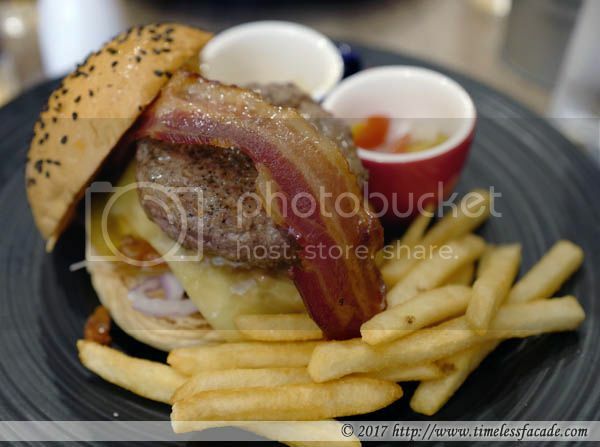 Sure the food at HPB isn't fantastic. 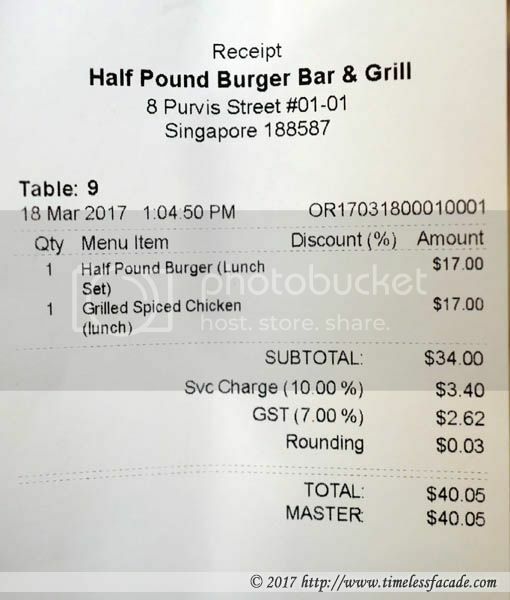 But at $17++/pax for lunch (includes a drink), it's actually pretty decent value for money especially in the City Hall area.